Our Peru Bike Tour to Machu Picchu has it all, breathtaking views of the Andes, spectacular Inca Ruins, awesome downhill cruising, Urcos floating reed islands on Lake Titicaca and a day hike on the Inca Trail through the Sun Gate to Machu Picchu. 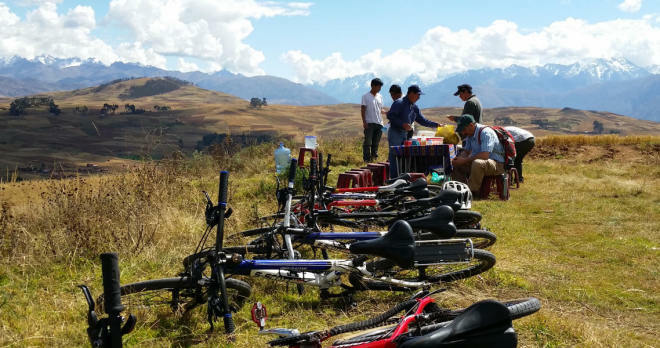 Get ready for a world class cycling adventure in the Andes Mountains of Peru! 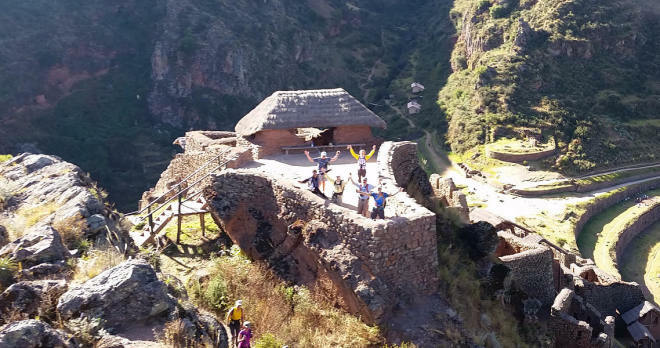 Our fabulous route takes us from Lake Titicaca, the highest navigable lake in the world to Machu Picchu, the most famous Inca ruin in South America. This is adventure cycling at its finest, with miles of awesome downhill cruising, charming hotels and inns and lots of friendly smiles from the local people. The tour begins in Cuzco, Peru, the archaeological capital of South America. 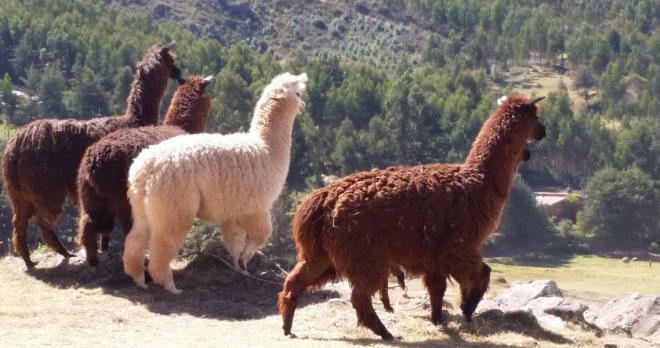 After touring the city and visiting Sacsayhuaman, an enormous Inca fortress shaped like the head of a puma, we depart by bike for a remarkable downhill cruise to the colorful Sunday market in Pisaq. 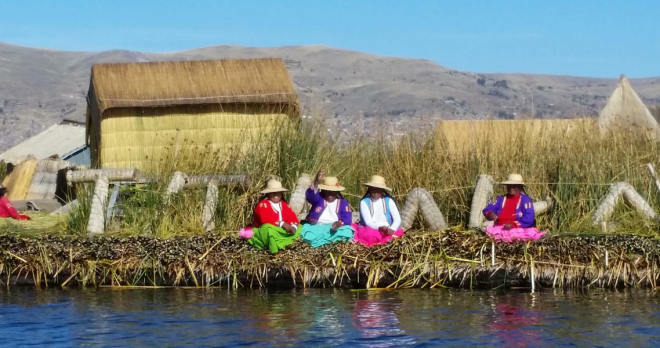 Next, we fly south to Lake Titicaca where a boat will take us to the amazing reed islands of the Uros Indians and then on to Taquile Island for a cozy night in a wonderful native-owned inn. The panoramic view of the distant snowcapped peaks across the lake in Bolivia is out of this world. 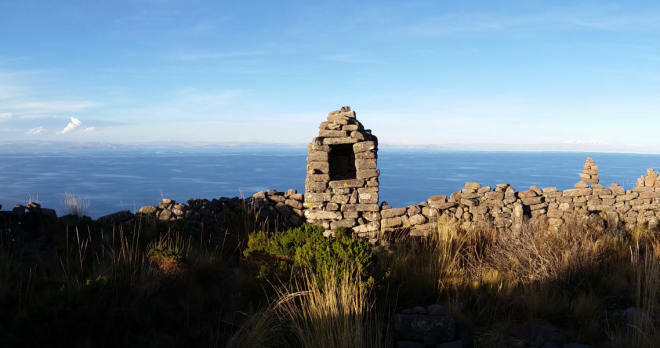 After returning to the mainland, we hop on our bikes and pedal the magnificent shoreline of Lake Titicaca as we pass through a remote region where there are not many tourists. 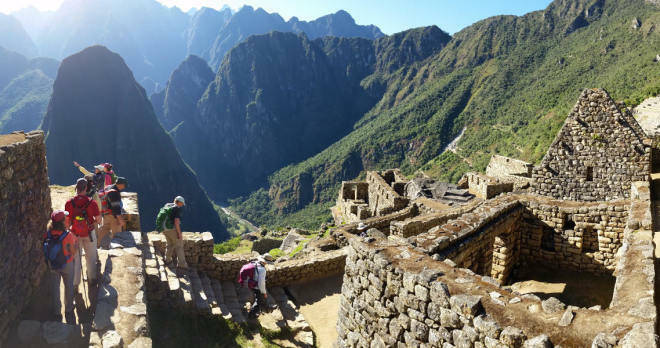 Our attention now shifts to visiting Machu Picchu, the Lost City of the Incas. 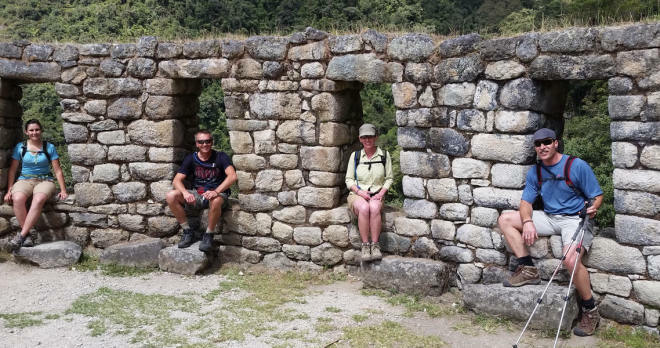 A morning train ride brings us to the trailhead where we begin hiking to the dramatic Winya Wayna ruins and then on to the Sun Gate where we enter Machu Picchu – what a fantastic view! From this vantage point, you can see the entire Inca city perched high above the mountains and dense jungle that hid this site for centuries. Our evening accommodations are in a comfortable hotel in Aguas Calientes. The following day we return to Machu Picchu for a comprehensive tour of the ruin and then take the afternoon train to our overnight lodging in Ollantaytambo. We’ll have our farewell dinner and the following day we transfer the group to the airport in Cuzco. 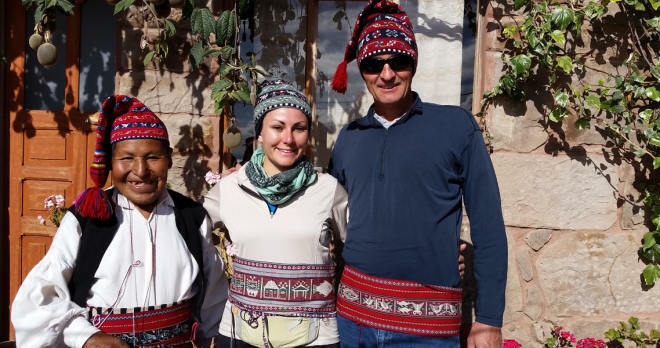 Our Cycling Tour of Peru is filled with breathtaking vistas and heart-warming memories of an ancient region that has proudly maintained its heritage and customs. A non-refundable $600 US deposit per person is needed to reserve a space. This tour is perfect for riders and hikers of all abilities who are reasonably fit and in good general health. The 5 days of riding is moderately strenuous and daily cycling distances will vary from 15 to 45 miles. We will be riding at 8,000-14,000 feet, and most of the rides are actually downhill, yea! We will be on scenic paved and packed dirt roads with little traffic. A support van follows to assist riders when ever they want a lift and to avoid congested areas. 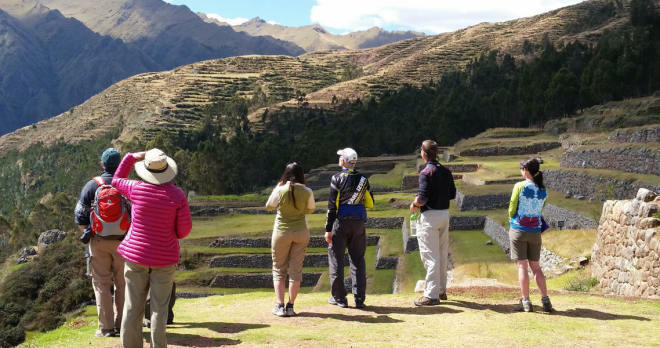 The hiking is moderately strenuous on well maintained trails, with most hikes being 1-2 mile tours of Inca ruins. The longest hike is 8 miles to Machu Picchu through the Sun Gate. All hikes and rides are optional.